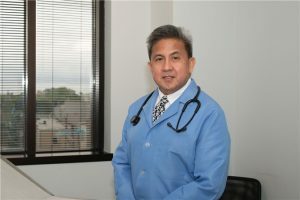 Profile: Dr. Manuel G. Dominguez, Jr. is a physician specializing in family medicine – caring for patients from newborns through the elderly. As a seasoned provider, he brings extensive experience to his current role at the clinic. Dr. Dominguez has devoted his life to helping patients with complex medical problems. He believes in providing excellent patient care and strives towards quickly bringing patients back to their routine way of life. He integrates his medical expertise with state of the art technology and strives to provide the highest quality of healthcare. Dr. Dominguez approaches patient care with compassion and is uncompromising in his dedication to the well-being of his patients.